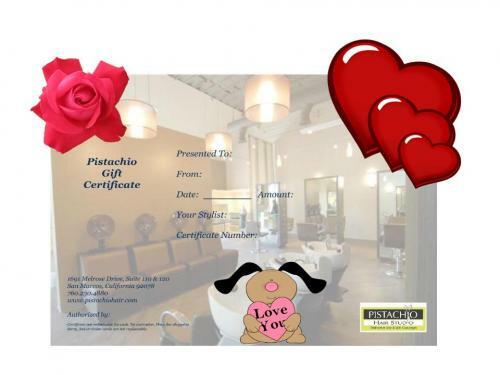 This year Pistachio will be having a special on Valentines Day Gift Certificates. Purchase a gift certificate worth $100 or more and receive an additional $15 credit. Give that special someone the present of a fantastic makeover this year with a Pistachio Gift Certificate!